Once a command has been entered into the system and the delivery completed, only the billing remains to be done. The validity of the invoice depends on each company’s terms. Although there are many ways to calculate costs, JFleet software allows for versatility in billing: per hour, per mile, by weight, volume, cubic content, order, delivery route, geographic area, and more. Drivers’ pay, meanwhile, can be easily calculated through JFleet’s intelligent-dispatching system. This guarantees that actions are carried out in a logical and precise order. 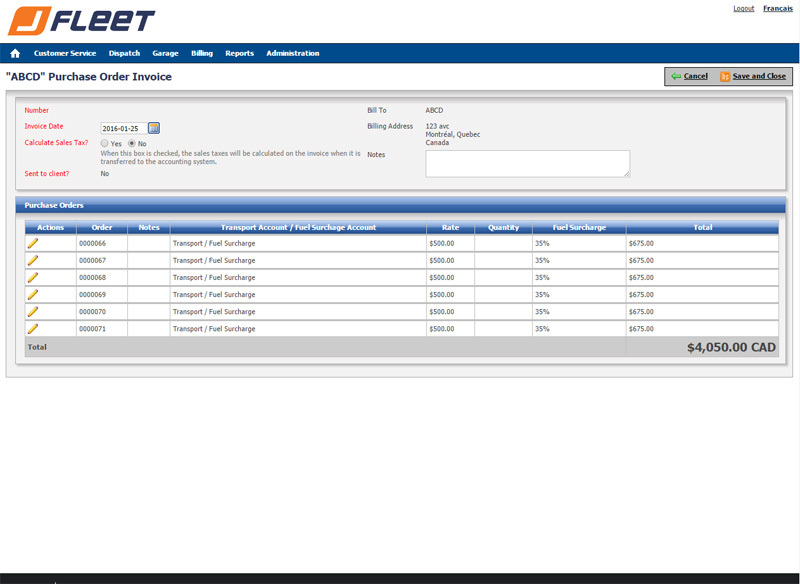 JFleet’s billing feature provides a method that can be applied to different business practices. In this way, when an invoice is created, JFleet instantly locates the billing rate associated with the activity according to established criteria. The basic billing amount may be accompanied by incidentals based on a surcharge for fuel consumption, the number of miles travelled, various accessory charges, the driver waiting time, or additional stops, to name several examples. In addition, these particularities need to be associated with different client companies according to the agreements in place. For example, agreements can be based on specific rates associated with a delivery route’s geographic area or the number of kilometres between two fixed destinations. JFleet transport software first proposes possible rates for an order and chooses the appropriate rate according to the specifics of the order. Then, from among the various agreements and rates integrated into the system, JFleet determines the rate that applies to the agreement and the particular customer. 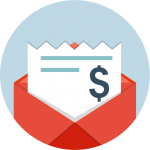 Customer service determines the correct rate and emails the invoice directly to the customer. Once the step of sending the invoice to the customer and entering it into the system is completed, those details are immediately transferred to the accounting system. By automating the data-entry accounting system, JFleet reduces the need for staff qualifications. 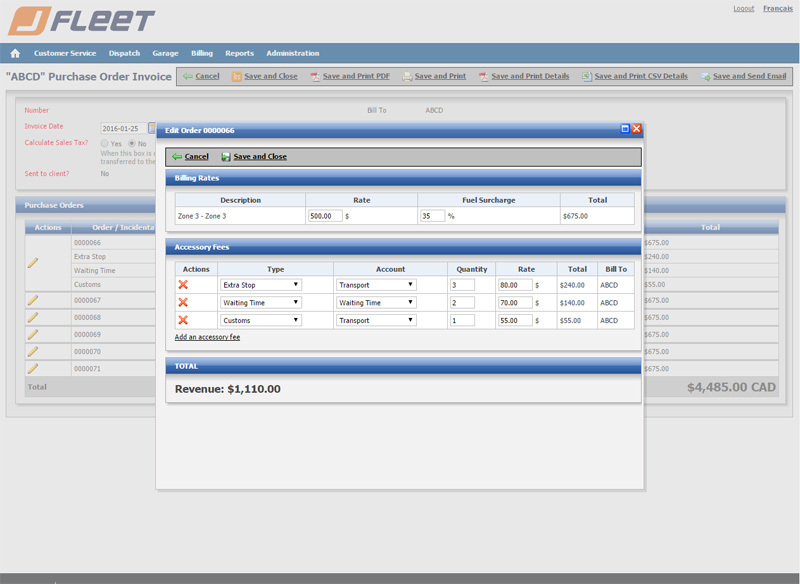 Payroll is equally simple with JFleet. At regular intervals, drivers’ pay can be calculated based on their road maps. These are precise and a consequence of checks made previously in the dispatching. It is no longer necessary to have several people responsible for calculating the payroll that is now simple and error-free.